As the 2018/19 World Women’s Snooker Tour reaches its midway point, today we highlight the achievements of a number of our talented Under-21 players who have set significant career milestones already this season. Whether it be career-best performances or new career high rankings, it has already been a memorable season for several junior players who have shone so far this term, as encapsulated at the recent Eden Women’s Masters which saw four players aged 19 or younger progress to the quarter-finals against experienced opposition. It has already been a landmark season for 19-year-old Emma Parker, who has twice broken new ground in recent months on the WWS circuit with career-best performances at two events. 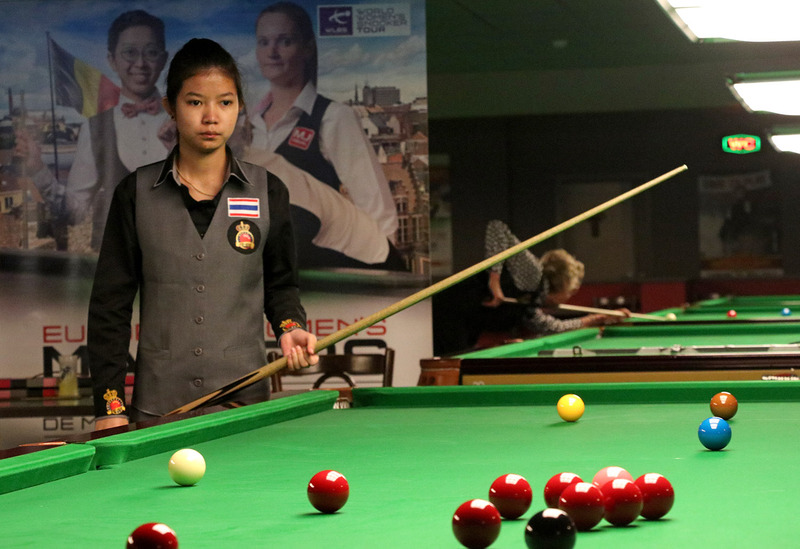 Competing at the European Women’s Masters in Neerpelt, the youngster from Hornchurch reached her first ranking event quarter-final, notably defeating Thai star Nutcharut Wongharuthai in the first of three meetings during the weekend to top her group. She then recorded a 3-2 victory against former world championship quarter-finalist Diana Stateczny to progress to the last eight, where Wongharuthai would turn the tables with a 3-0 win. Parker however would have the last laugh during the weekend, a 2-0 success in the final of the Under-21 event in Belgium to not only claim her fourth junior title, but one that saw her climb to the top of the Under-21 ranking list for the first time ever. Her biggest success to date a month later in Gloucester however as she defeated Stephanie Daughtery and then world number six Laura Evans 3-2 to reach her maiden ranking semi-final. 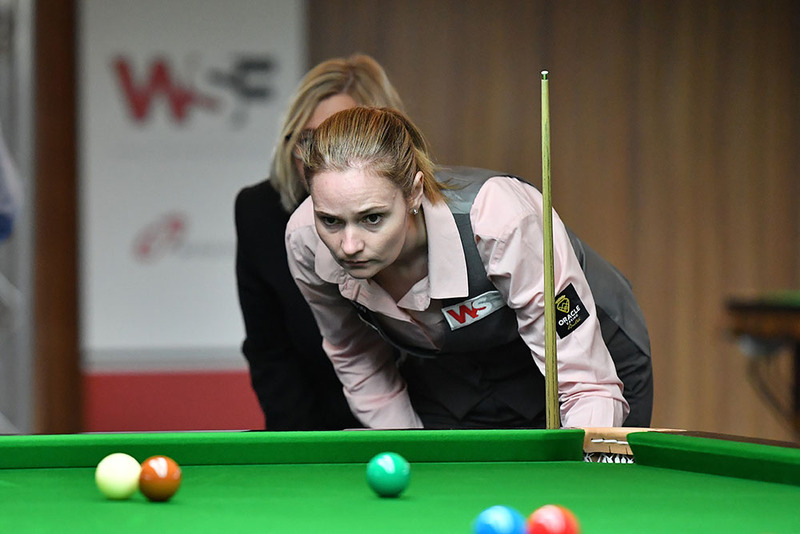 Although she would lose out to eventual champion Reanne Evans, her performance saw her reach another significant milestone as she broke into the top 10 of the world women’s rankings for the first time. Also achieving this feat earlier in the season was the prodigious Nutcharut Wongharuthai, another 19-year-old who looks to have a big future in the sport in front of her. 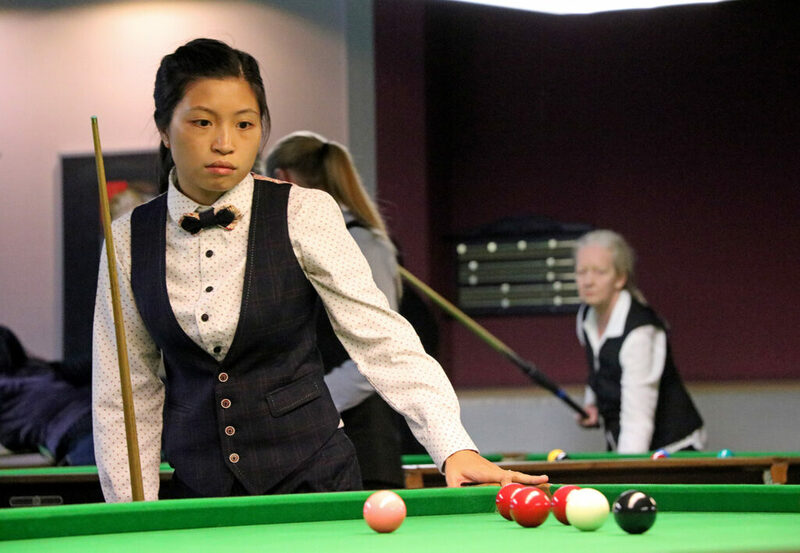 Having competed at the mixed gender SangSom 6-Red World Championship in her home country back in September, the Bangkok native made a strong start to her campaign on the World Women’s Snooker Tour by reaching the semi-finals of the UK Women’s Championship in Leeds, narrowly losing out a black-ball game to Rebecca Kenna. She would at least have the consolation of claiming her third Under-21 title with a 2-1 victory over Shannon Metcalf. Better was to come in Belgium however as she stunned Ng On Yee at the last 16 stage before taking the scalp of home hero Wendy Jans in the semi-finals with a 4-2 victory to progress to her second ranking final. 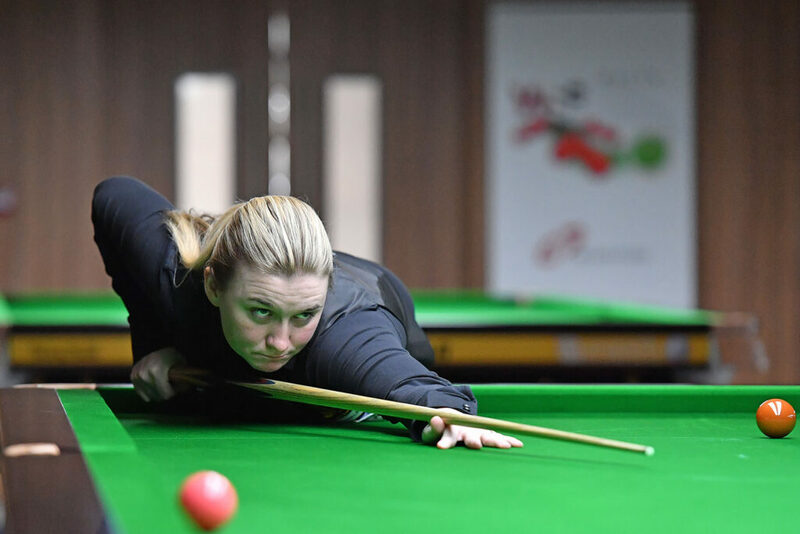 Just as at the first, the result would be a defeat to 11-time world champion Reanne Evans but her performance was enough to see her break into the top 10 for the first time. Another semi-final run would follow at the Australian Women’s Open in Sydney later in the month, On Yee this time gaining the upper hand on her way to her latest title, but Wongharuthai – or Mink as she is better known – had done enough to end 2018 at a career-high ninth position and with a reputation as one of the most talented players on tour. But while Parker and Wongharuthai have grabbed a number of the headlines, also among the silverware so far this season have been Shannon Metcalf and Stephanie Daughtery. 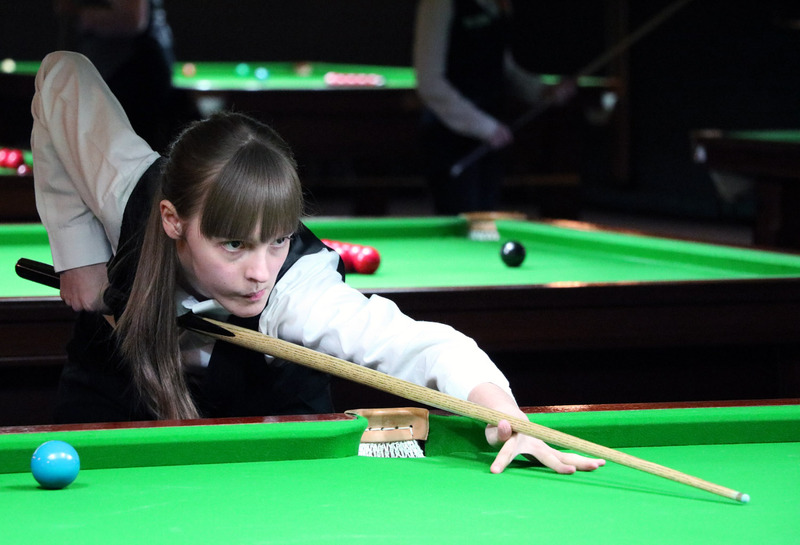 For Metcalf, the start of the season saw the 16-year-old broke her title duck by taking the Challenge Cup title at the UK Women’s Championship with a 3-2 victory against world number seven Suzie Opacic. Having previously lost six side-event finals, Metcalf then made it a title double at the Eden Women’s Masters by defeating Stephanie Daughtery 2-0 to capture her first Under-21 title and secure a return to top spot in the Under-21 rankings having fallen behind Emma Parker at the previous event. 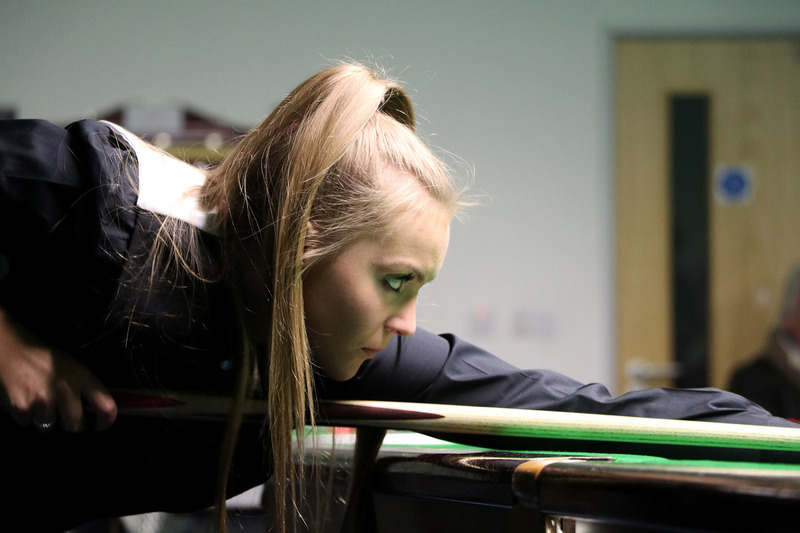 She also made it through to her second-ever ranking event quarter-final in Gloucester to underline the development made with her game in recent months. 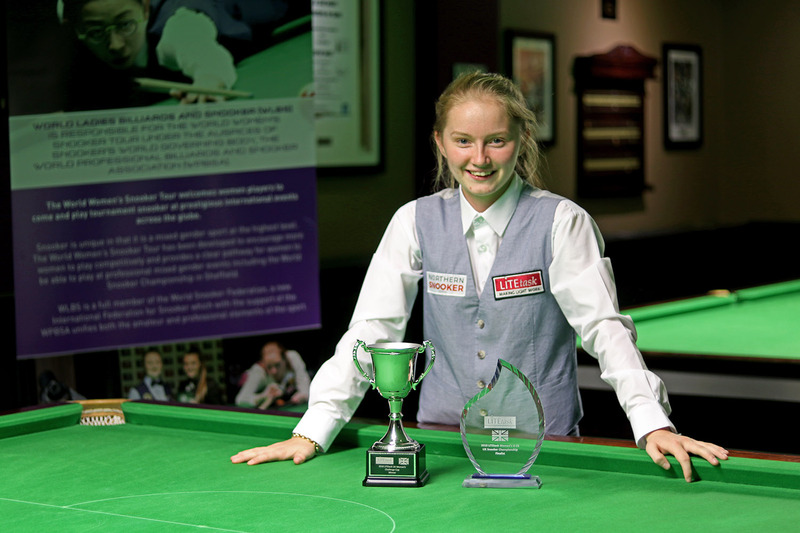 Despite losing out to Metcalf in Gloucester, it was nevertheless a weekend to remember for Stephanie Daughtery after the 17-year-old captured her third side-event title by claiming the Challenge Cup with victory against ninth ranked Diana Schuler of Germany. 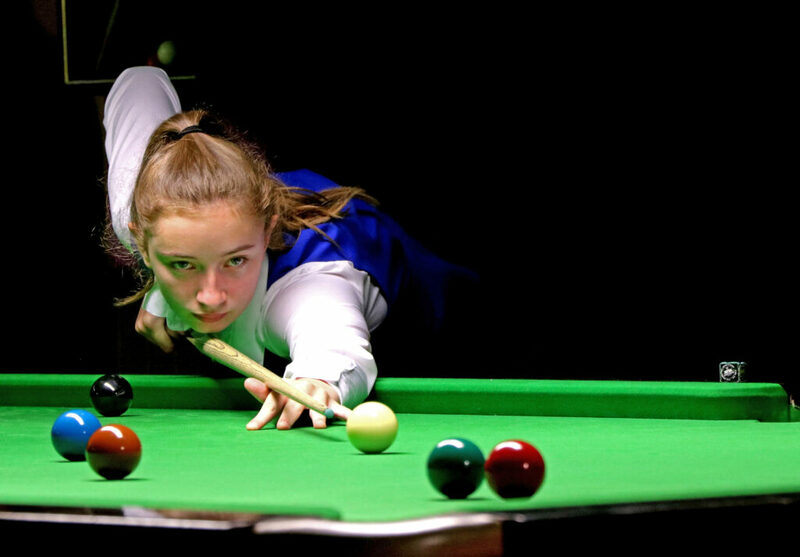 Perhaps the most memorable moment for the youngster from Wakefield however came in the under-21 event where she earned a hard-fought win against Emma Parker in the semi-finals, turning the tables after losing her previous four matches to Parker since the start of the 2017/18 season. It is not just the title winners who have shown promise however, 11th ranked Aimee Benn reached only her second ever ranking event quarter-final at the Eden Masters recently, while Chloe White achieved a new career-high ranking of 22nd after the Hampshire potter progressed to the last eight of a ranking tournament for the first time in Gloucester. Wakefield’s Claire Edginton too has reached three side-event semi-finals in 2018, including at her first two events during the current season. As well as our regular players in recent years we are also delighted to have welcomed new players this season who have also impressed. Thailand’s Ploychompoo Laokiatphong in particular made an immediate impact with a shock 2-1 victory against world number three Rebecca Kenna at the UK Women’s Championship on her debut in September, eventually losing out to top ranked Ng On Yee at the quarter-final stage. And most recently we welcomed 12-year-old Zoe Killington to the Eden Women’s Masters, the Merseysider impressively winning two frames against significantly more experienced players to demonstrate her potential. Earlier this season we announced the creation of a new award for the 2018/19 season which will see our Under-21 Player of the Year receive a special cue case donated by RR Cue Cases in recognition of their achievements. 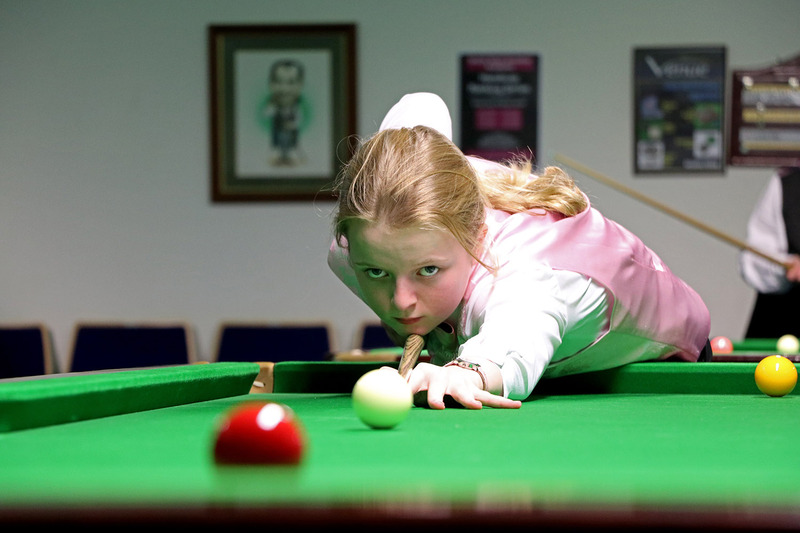 If you want to get involved and potentially stake your claim for what is set to be a fabulous prize, why not learn more about how you can join the World Women’s Snooker Tour and our thriving junior circuit HERE. The 2017/18 season was another to remember for Ng On Yee as the Hong Kong player rose to the summit of the WLBS world ranking list for the first time, but who were the other movers and shakers during the season-long campaign? Like the professional World Snooker Tour, the WLBS world rankings operate on a rolling two-year basis, with points earned during 2015/16 replaced by those from this season over the past 12 months. As mentioned above, this year has seen a change at the top of the rankings for the first time in nearly four years as Ng On Yee claimed top spot from Reanne Evans following the British Open back in February, maintaining the position through to the end of the season. With victories at the UK Women’s Championship, Women’s Masters and of course the World Women’s Championship in Malta, it was another strong season for the 27-year-old, although after Evans won three of the campaign’s final four events no doubt the pair will enjoy another season-long battle for top spot next season. 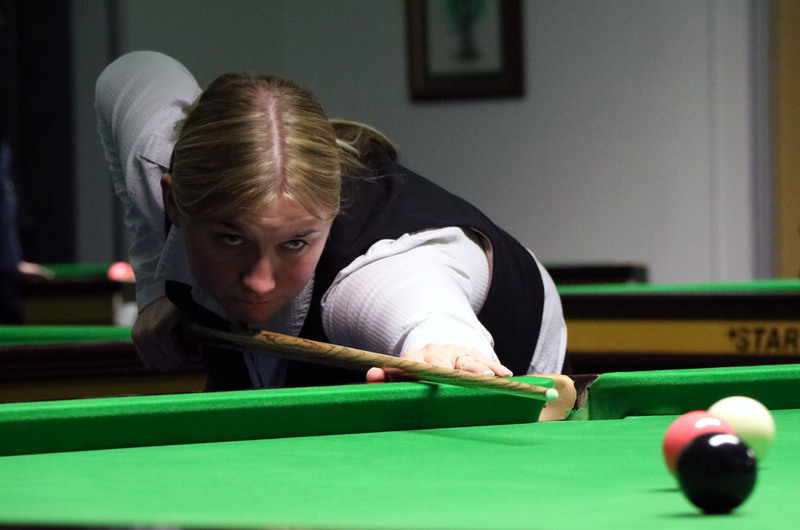 Away from the top two it was another successful season for Rebecca Kenna who broke into the world’s top three for the first time earlier this year, eventually finishing in fourth behind Malta finalist Maria Catalano. 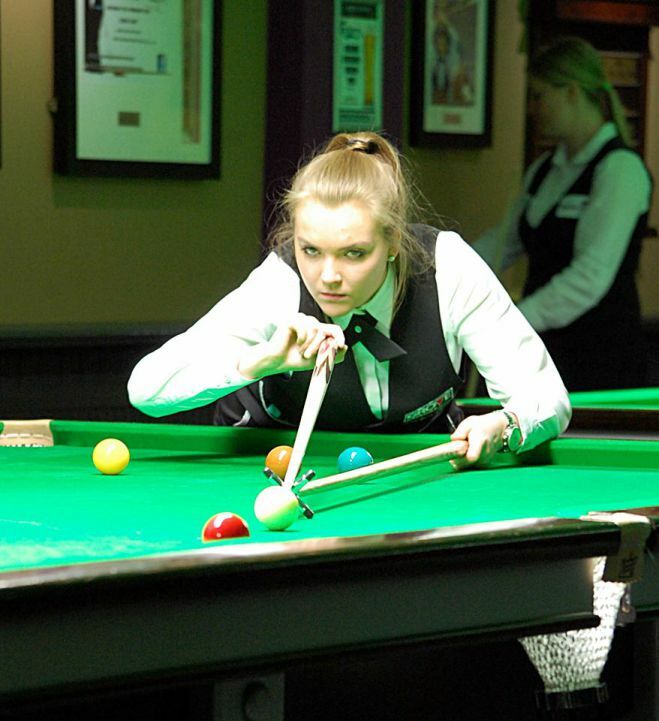 The Keighley player enjoyed her most consistent run on the World Women’s Snooker Tour to date, reaching four semi-finals including her third successive World Women’s Championship last four appearance to improve upon her starting position of number six. The top eight as a whole remained relatively stable with seven of the players who began the season inside the elite bracket remaining there at the end of the campaign. The exception to the rule was Germany’s Diana Schuler, who following a consistent season which saw her regularly qualify for the knockout rounds of competitions, was able to break into the world’s top eight for the first time to become the current highest ranked player from mainland Europe. It was another strong season for the tour’s junior players who continue to gain valuable experience, including West Yorkshire’s Aimee Benn who also achieved a top ten position for the first time by virtue of reaching the last 16 of each of the six events that she competed in. As well as Benn, there were new highs for British juniors Stephanie Daughtery (12), Shannon Metcalf (13), Emma Parker (15), Claire Edginton (18) and Chloe White (26) during the course of the season, Parker also climbing to second position in the WLBS Under-21 rankings behind Metcalf following her two victories during the season. 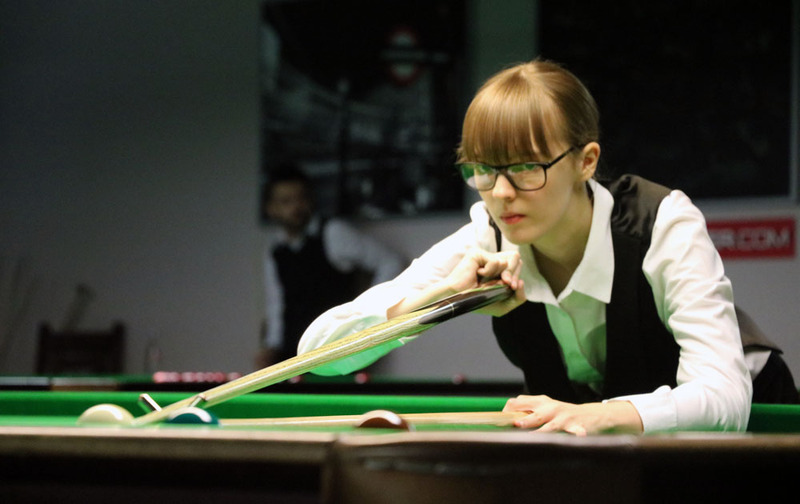 The World Women’s Snooker Tour continued to see an influx of new talent from Asia during last season with no fewer than 10 players from Hong Kong, Thailand and South Korea finishing inside of the top 30. Without doubt the most successful newcomers were Thai duo Nutcharut Wongharuthai and Waratthanun Sukritthanes, who both earned top 20 places despite not playing a full calendar of events. Both made their debuts at the 2017 World Women’s Championship in Singapore, but it was during 2018/19 that the pair really rose to prominence. Wongharuthai was first to announce herself as the 18-year-old stunned newly-crowned world number one Ng On Yee in the semi-finals of the British Open to contest her maiden final, before she proceeded to capture the 2018 World Women’s Under-21 Championship in Leeds last month. Sukritthanes meanwhile reached the last eight of the World Women’s Championship in Malta for a second successive year, subsequently going one better at both the World Women’s 6-Red and 10-Red World Championship competitions by reaching the semi-finals. From Hong Kong we saw three victories at Challenge Cup events as newcomers Ho Yee Ki, Pui Ying Mini Chu and Yee Ting Cheung all claimed silverware, while we also were treated to a memorable semi-final encounter between Ng On Yee and So Man Yan at the Paul Hunter Classic at the start of the season, eventually won by On Yee following a deciding frame. While the future of course is still to be written, by looking at which players had a strong start to the 2016/17 season or otherwise we can make some deductions as to who may be in a position to climb the ranking list over the first half of the new campaign. At the head of the list On Yee looks to have a strong grip on top spot as it is Evans who has more points to defend during the first half of the campaign including winner’s points from two of the first three events played during that season. Evans however will then have significantly fewer points to come off compared to her Asian rival as she looks to reclaim the world number one ranking over the following months once again. With no points to defend over the next six months, top 20 trio Emma Parker, Nutcharut Wongharuthai and Waratthanun Sukritthanes are among those best placed to continue making strides up what is becoming an increasingly competitive ranking list if they can maintain their current form. The 2018/19 World Women’s Snooker Tour is set to begin with the UK Women’s Championship at the Northern Snooker Centre in Leeds this September. Further details of the tournament and additional events still to be announced will be confirmed in due course. The official WLBS world women’s rankings have been updated for the final time in 2017 following Ng On Yee’s maiden success at the Eden Women’s Masters last weekend. The WLBS world rankings operate on a rolling two-year basis, with points earned during 2015/16 to be removed during the course of this season. At this update, points earned during the 2015 Women’s Masters in Cambridge have been removed from player’s totals and replaced with those earned during this year’s corresponding event in Gloucester. 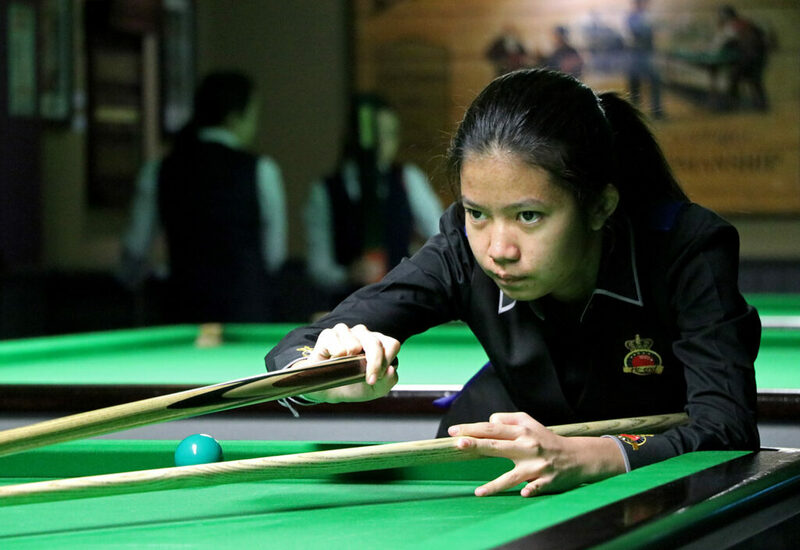 A dramatic 4-3 victory for Hong Kong’s Ng On Yee has seen her narrow the gap to top ranked Reanne Evans at the top of the world rankings from 6,800 to just 1,550 points at the mid-way point of the 2017/18 season. This is because not only has Evans dropped 1,500 points, having finished as runner-up compared to winning the event back in 2015, but On Yee has gained 3,750 points as she only reached the quarter-finals previously, resulting in an overall swing of 5,250 in On Yee’s favour. The net result is that with Evans set to defend winner’s points from three events at the start of 2018, 26-year-old On Yee now has a real opportunity to become number one for the first time in her career with a strong second half of the season. While third ranked Maria Catalano has consolidated her position of ‘best of the rest’ having matched her semi-final result of two years ago, behind her Rebecca Kenna is up to a new career-high position of number four. The Keighley potter maintained her run of having reached the semi-finals at every event so far this season with a 3-1 victory against Laura Evans, enough to guarantee that she would trade places with the Welsh player in the rankings. For Evans, the weekend also marked the first event during her current spell on tour at which she was defending ranking points, having memorably made it through to the final on her return to the circuit at this event back in 2015. Elsewhere inside the top 10, Germany’s Diana Schuler breaks up into the top eight for the first time in her career following her last 16 run at the South West Snooker Academy, while So Man Yan despite not taking part in the event is also up into the top 10 due to other players around her in the rankings losing more points at this revision from two years ago. It was a strong week for a number of the junior players involved with no fewer than five under-21 players successfully qualifying for the knockout stages. Among them, Aimee Benn rises three places to 14th, while one of the big winners in terms of positions gained was 18-year-old Claire Edginton, who ascends six positions from 25th to 19th following her performances in Gloucester. Also on the rise are under-21 finalists Emma Parker and Chloe White, up to 22nd and 30th places respectively after they also progressed to the last 16 of the main competition. And finally, following an all-Hong Kong final in the Challenge Cup event, winner Pui Ying Mini Chu has climbed nine places to 33rd, while runner-up Ho Yee Ki rises four to 27th. 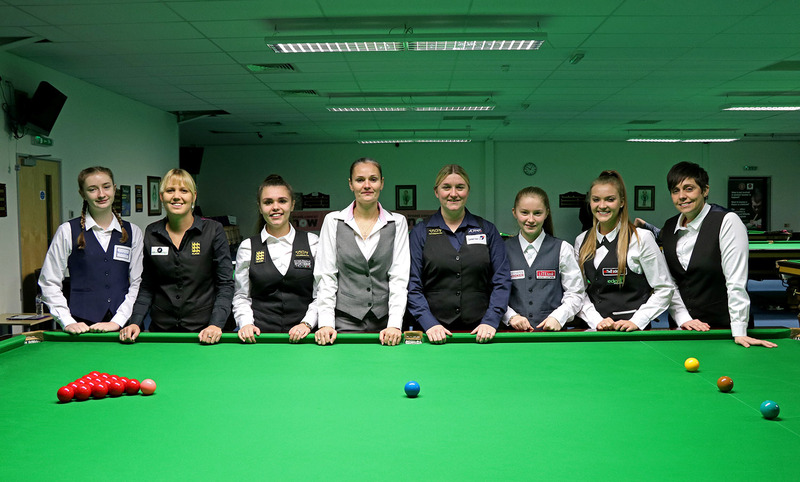 As the Paul Hunter Women’s Classic returns to the city of Fürth, Germany later this month, a number of the Tour’s younger players are preparing for their first taste of snooker action outside of the UK. 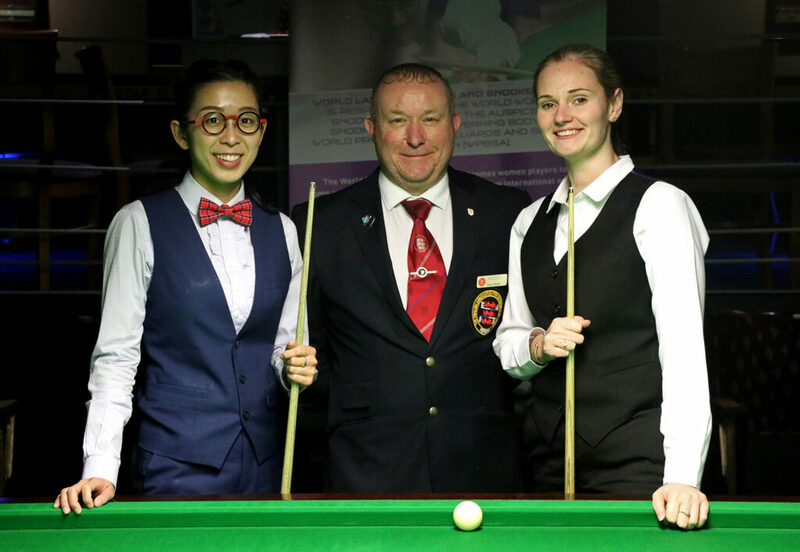 The tournament will be the first event of the 2017/18 World Women’s Snooker Tour and as in 2016, will be headlined by familiar faces including multiple world champions Reanne Evans and Ng On Yee, as well as fellow top 10 players Maria Catalano, Wan Ka Kai and Rebecca Kenna who will all be eyeing a title tilt. 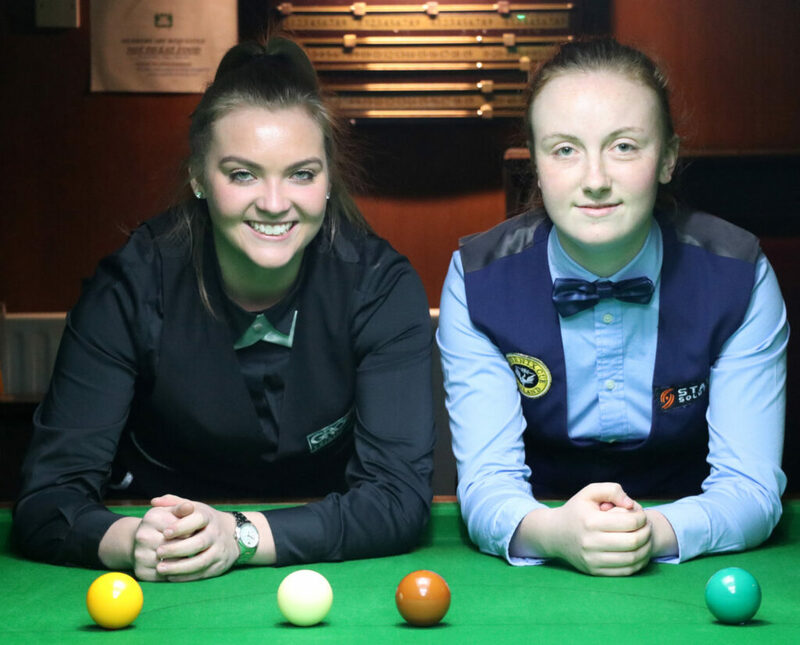 As well as the big names however, the event will also see no fewer than six players aged 18 or under representing the next generation of women’s snooker, five of whom will be travelling from the UK to play in their first ever overseas competition. 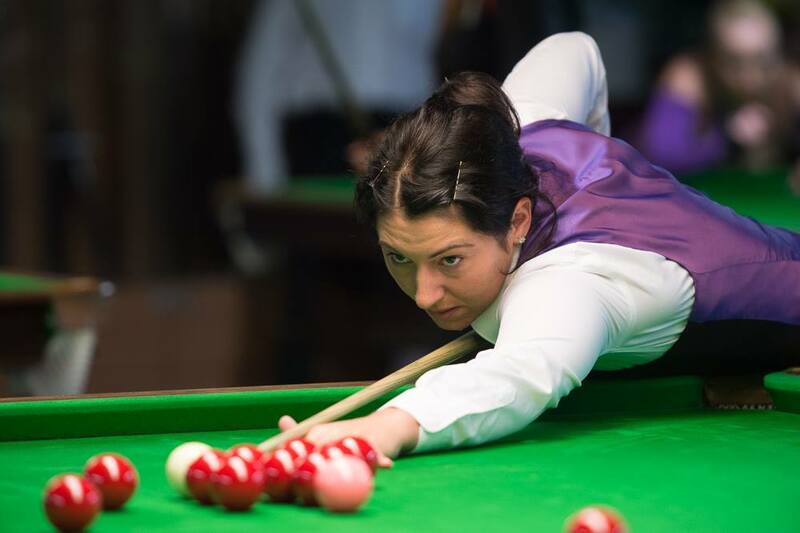 Leading the charge will be Wakefield’s Stephanie Daughtery, two-time defending UK Women’s under-21 champion and WLBS world number 17. Set to be among the seeded players at a ranking event for the first-time, Daughtery first began to play at the age of 12 and was introduced to the World Women’s Snooker Tour by her coach Anthony Hebblethwaite back in 2014. Now 16, Daughtery is already looking forward to her first overseas competition and the chance to gain crucial experience as she looks to achieve her ultimate goal in the sport. “I am very excited to be able to compete in Germany for the first time!” said Daughtery. 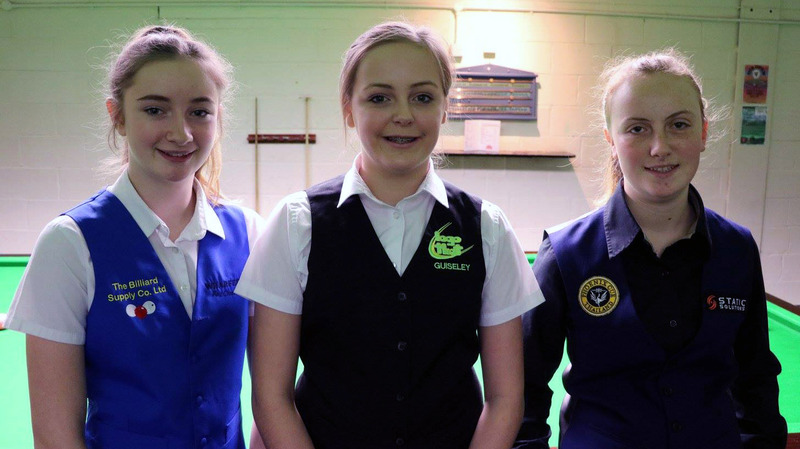 “My aim is to one day become world women’s snooker champion and this will be a great opportunity to be able to learn from the top players. Daughtery is looking forward to being joined by players including Aimee Benn and Claire Edginton, both also regular faces at UK based events who will be competing overseas for the first time. “The social aspect of these events is really important,” continued Daughtery. “Aimee and Claire are my closest friends on the tour so it is great that we will all be able to make the trip together. 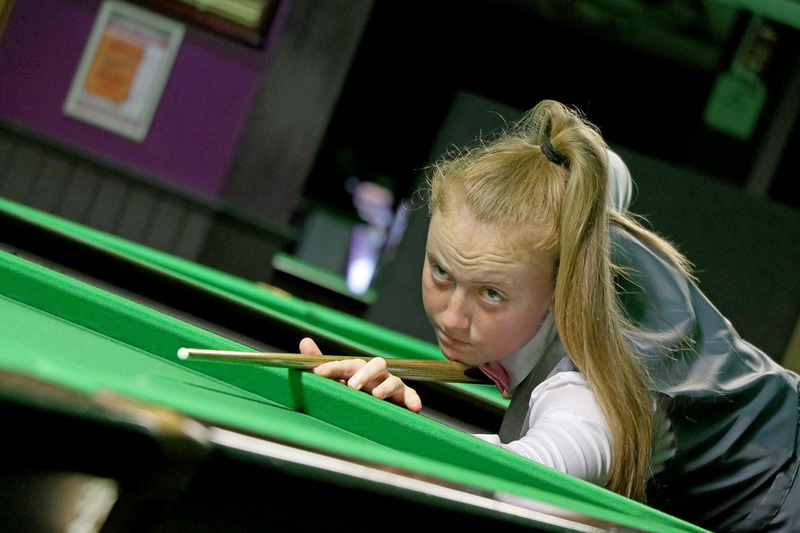 Another of the younger generation who will be making the trip is 17-year-old Emma Parker, who in April claimed victory at the LITEtask World Under-21 Championship for the first time. Unlike Daughtery and her other contemporaries, Parker is a relative newcomer to the Tour having entered her first event at the Connie Gough Trophy back in February. “I played pool with my dad when I was little,” said Parker. “Where we played there was a snooker table and I always wanted to play but I was too small. Eventually when I was able to play snooker I loved it and became hooked. I have been playing competitively for two years now. While this will be her first playing experience overseas, the tournament will not mark Parker’s first visit to Germany, following a unique experience back in 2006 when she was lucky enough to play a special role at the FIFA World Cup. “I went to Germany in 2006 for the football World Cup,” explained Parker. “I went as a mascot for the England team after winning a competition sponsored by McDonalds. I walked out on the pitch with John Terry and I will never forget the feeling when the crowd cheered. It was an incredible experience that I will never forget. Like Daughtery, Parker hopes to be able to learn from the tournament so that she can fight for titles, not only against other women but one day against the men as the likes of Reanne Evans, Ng On Yee and Tatjana Vasiljeva have recently demonstrated in professional competition. “My snooker goal is obviously to win as many tournaments as I can,” said Parker. “I would love to play competitively against the men as well. To be able to achieve this I need to practice hard, have commitment and put all my effort into the sport. The Paul Hunter Women’s Classic 2017 will be played on 24-27 August.